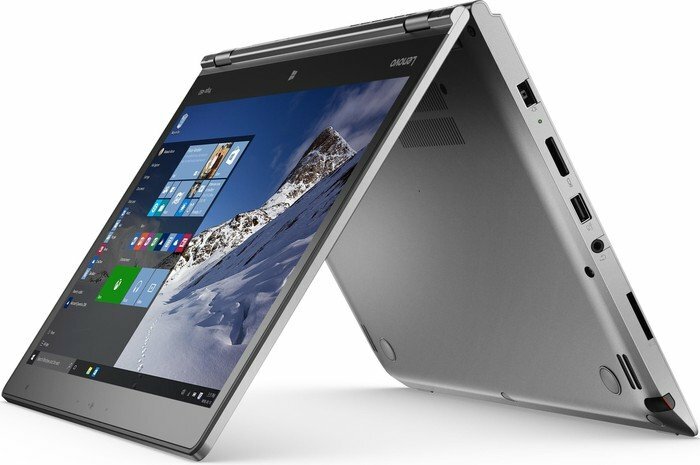 The Lenovo ThinkPad Yoga 460 is a workhorse. It has few unusual features, and its performance neither surprised nor disappointed us, but the laptop is both versatile and sturdy. We’d expect this beast to weather hectic workdays and business-travel misadventures for years. Few laptops can match the utility of the Lenovo ThinkPad Yoga 460. 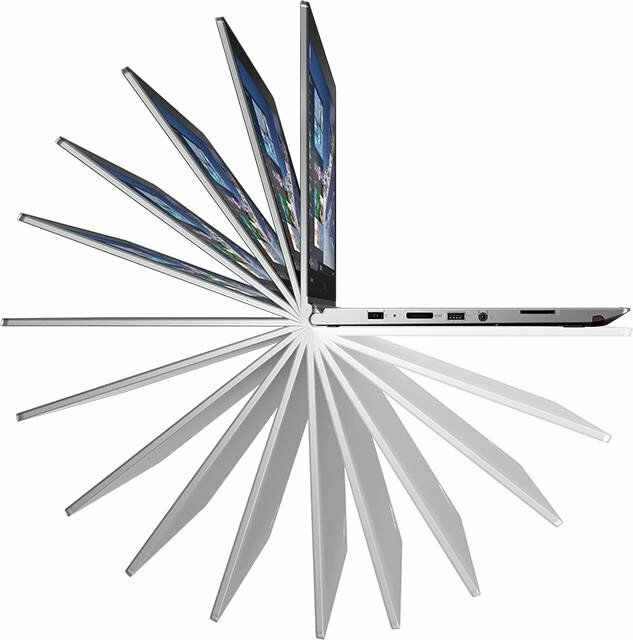 With a solid stylus, the quality 360-degree display hinge and a durable build, the Yoga 460 is the jack knife of business laptops. Add in the useful software and tactical keyboard and you have an excellent 2-in-1 that can adapt to nearly any situation. However, if you’re willing to spend a bit more you could opt for the Lenovo’s X1 Carbon or Apple MacBook Pro. Both offer more powerful specifications with stronger graphical performance and are considerably lighter. The Lenovo ThinkPad Yoga 460 is a business 2-in-1 that offers great utility: an accurate stylus and a versatile chassis that's good for presentations, productivity and a bit of entertainment. Unfortunately, the Yoga 460's keyboard, while decent, isn't as good as what you'd find on other ThinkPads. Its screen is a bit dull and the notebook underperformed compared with other laptops with similar specs. Lenovo ThinkPad Yoga 460 turned out a bargain, because of the capacity it offers, as well as the durability that “guards” the hybrid. You can enjoy your favourite photos or movies in each of the four modes (laptop, tent, stand and tablet) without the threat of poor image quality – all this is thanks to the IPS panel. The lack of PWM in almost all brightness levels and all levels considered as normal for work is very good news, as it is expected of you to spend a good deal of your time in front of the screen. In this way you can be sure that your eyes will be a tiny bit better-protected. Positive: Decent hardware; quality display; good connectivity. Negative: High price. Positive: Durable casing reinforced with carbon fiber; omfortable "AccuType" keyboard; IPS matrix; track point and the multi-sensory touch. Negative: Low coverage of the sRGB color gamut. Model: The Lenovo ThinkPad Yoga 460 is anything but ordinary. It is easily convertible to four different modes i.e. laptop, stand, tablet, and tent. This contortionist-like feature allows this tablet to flip around 360 degrees and even lay flat. It is lightweight at 1.8 kg with a thickness of 1.88 cm (0.74 inch). Its Full HD display supports 10-point multi-touch input. The Yoga 460 is powered by a 6th generation Intel Core i7 processor with Intel HD Graphics 520 as well as memory of up to 16 GB DDR3L RAM and a 256 GB SSD. The touch sensor fingerprint reader provides both accessibility and security to the machine. The connectivity includes three USB 3.0 ports, a mini DisplayPort, an HDMI port, a OneLink+ docking connector and a memory card slot. The ThinkPad Pen Pro further compliments the accessibility to the Yoga 460 as it is sensitive and capable of precise input. The Pen Pro is rechargeable upon insertion into the system pen slot. Networking is supported by both WiFi and Bluetooth connectivity. The latest version of Windows 10 Pro pre-installed and a batter life of up to 10 hours make this device attractive for business users. 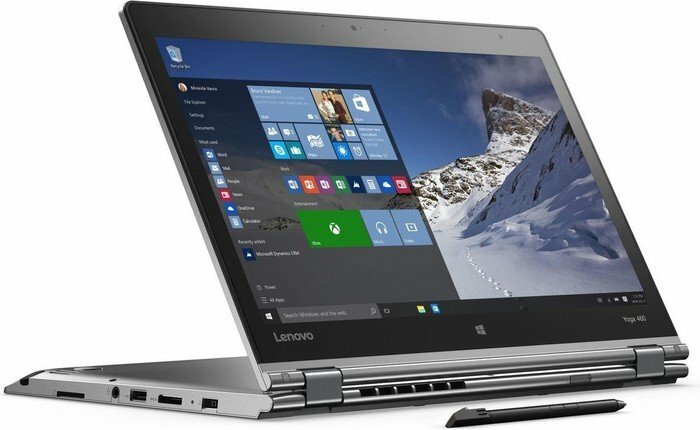 Series: The Lenovo ThinkPad Yoga 460 Series consists of convertible laptop aimed towards business users looking to do some work and entertainment on-the-go. 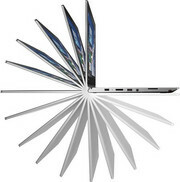 The laptop has a sleek finish and although the carbon fibre feels a little like plastic, it is built solidly and can withstand shocks, humidity, vibration and extreme temperatures.The Microsoft Windows 10 64-bit Home system features up to an 2.8 GHz Intel Core i5-6200U processor, an Intel HD Graphics 520 graphic card, 4 to 16 GB PC3-12800 DDR3L 1600 MHz RAM and a 128 GB or a 156 GB SSD. There are three different 14 inch IPS displays to choose from; anti-reflective Full HD, glossy Full HD, glossy WQHD (2560 x 1440 pixels). All three support 10-point touch input. The keyboard is spill-resistant and decent to type on. The connectivity includes three USB 3.0 ports, a mini DisplayPort, an HDMI port and a 4-in-1 card reader. In addition, there is a Kensington Lock Slot and the black model even includes a fingerprint reader. It has a light weight of 1.8 kg and the battery life can last up to 8:02 hours.